A New York Sheriff’s office has forced a gun store to close and has seized hundreds of firearms after the store was recently burglarized for the seventh time in eleven years. 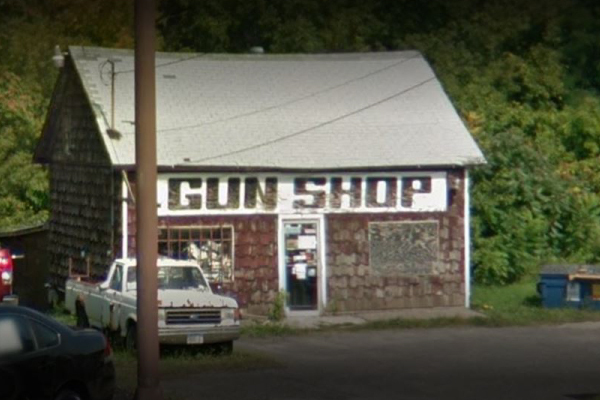 In two burglaries since August 11, between 45 and 50 firearms have been stolen from Chinappi’s Gun Shop in Parma, New York, according to local media. Since 2007, approximately 82 firearms have been stolen from the same location. The Sheriff’s office worked with Monroe County Judge Vincent Dinolfo to obtain a business cease and desist order to shut down the shop. Deputies then seized the entirety of the store’s inventory, including “many” pallets of ammunition. The firearms are being held by law enforcement until they can create a “safe situation” for the community. Local media reports that the business owner, August Chinappi, has cooperated with investigators. There are currently no legal requirements for Federal Firearm Licensees to secure their firearms using any particular method, but some believe that should change. New York Congressional democratic candidate Joe Morelle said he has been working on legislation that would require shops to have security. So far one man has been arrested in connection with the most recent burglary. Dakota Sarfaty, 21, has been charged with second-degree burglary, third-degree criminal mischief and fourth-degree grand larceny. A store I was a regular of had problems with early morning smash and grabs where theives would steal a car and drive it thru the wall.after they welded I beams to foot high steel posts in concrete that crap stopped. Did an anti-gun group rob the store to get it shut down? Sounds like a Democrat plot. Many of you have commented on legitimate issues. However, you have missed the most alarming issue in this thread, that being that a governmental entity can decide according to their whims (Any condition which they feel is justified to confiscate legal firearms from a legal owner). This is not a far reach to doing the same thing to individual owners of firearms! Imagine that this same New York Sheriff’s Department could come into your home, inform you that you were not adequately securing your firearms from a possible theft and confiscate them until you can secure them according their standards! This could just the beginning of a large scale governmental ploy to illegally take our guns unless stopped by protest from the public and legal means. WHY DON’T THEY CLOSE HOSPITALS AND NURSING HOMES FOR DEATHS? WHY DON’T THEY ELIMINATE COPS AND COURTS FOR CORRUPTION? THIS IS NUTS! IF THE SHERIFF IS SO CONCERNED THEN ASSIGN A DEPUTY TO WATCH IT 24/7/365. I am as pro gun pro 2nd amendment as one can be, but these ” burgleries” smell fishy to me. I hope I’m wrong but that little voice is talking in my ear. And yet the far left’s rhetoric insists that criminals obtain most of their firearms at gun shows and sales. Ownership of firearms is vested in the innocent business owner who has been burglarized (not robbed which is classified as a “crime against person”) opposed to a property crime. I know several FFL business owners that the NY gun shop owner could transfer the illegally confiscated firearms to in the state of Colorado. An agreement agreeable to all business owners could establish ownership and what was to happen after physical transfer. This pressures the SO to act and release the firearms or face criminal charges at the worst and civil damages at least. I have welded up numerous steel guards and some pretty simple (therefore cheap) camera monitors could record activity that the owner can look at using only a cheap laptop. Costs like these are passed on to customers in the price of goods sold. God forbid these lazy cops would try to catch the scum that keep robbing this guy’s store. it’s the store owner fault,what a screwed up state!!! Where was the ATF when he was burglarized , the 1st and 2nd time? , now they say more than 50 weapons were taken . Question is Where was the police when the alarm was activated ? Was it an inside job ? Did a family member do it? Or was it the local police officer(s) ? I had a revolver stolen several years ago which was later recovered by the police. I was informed it would be released back to me after the trial of the arrested perp. After a year went by, I contacted the police department that was supposed to have the piece and was told they could not find it in their inventory. Fortunately, I had a friend who was a highway patrolman who took the case personally. Surprisingly, the gun turned after several attempts. After the chief of that police department was arrested for shoplifting a bag of dogwood, it was pretty clear where my gun had been. Sheriff department assuring safe storage? A real question in my mind until proven…….. I don’t know anything about this shop, and am generally suspicious of both politics and enforcement in NY. But, the rate of burglaries in this shop does, at least, suggest a lax approach to security. Forget about it being a gun shop for a moment. If yo had ANY business burglarized 7 times in 11 years, wouldn’t you conclude that maybe your security system is weak? One poster said he knows the shop, and that business is slow. and the owner cannot afford better security. I have been in a retail business…adequate security is a cost of doing business. If you can’t afford it, you should not be in that business. Again, I state this with no real knowledge of the store’s operation. Well the same people that say that he has to be shut down because he can’t provide security also say the police should be the only ones you rely on for security and safety. A gun store being robbed 7 times in 11 years really isn’t that rare. Even places that place huge chunks of rock between their front door and their parking lots have people steal cars and ram them through the rocks and break down the front door. A crew of people were doing this in the greater Denver Metropolitan Area for a couple of years and despite precautions by many storefronts it happened more than once and sometimes more than a couple of times. Add on the fact that the stores have to pay significant levies to the government just to even sell firearms, when some convenience store owner didn’t, should mean they get better protection by that government, or the government is providing nothing for the money they are leaching away. A jewelry store generally has items worth thousands of dollars that can fit in your hand and spread them out over several square feet. A gun store has items that might be worth 200 dollars that are bigger than your hand and they already have to stack them like cord wood in the display cases to display enough of these low margin items to make it worth selling them. The jewelry store puts things in an actual safe (not a residential security container) that are worth more than a certain dollar amount and that store doesn’t have the same types of government levies or difficulty financing due to anti-constitutional activities by bankers. The power to tax is the power to destroy. There are two very distinct legal issues here. 1) Cease and desist. Most businesses face ordinances that require licenses from the local government for doing business. So there is legal footing for cease and desist through the pulling of business licenses. 2) However, seizing property, chattel, has a much higher standard and burden. According to the article, there is the implication that these burglaries or the presence of stolen guns create some sort of nuisance. Yet they can not prove any connection to some sort of societal or government burden or issue. If something you own, whether in your business or your personal possession, like your Corvette, is so attractive to others that they want to steal it, that is not grounds for confiscation. There is no duty for a citizen to live or secure your chattel in a way that meets government approval. The security with which you hold your possessions is an issue for your insurance carrier, not government. I heard mice ate half of those firearms already. I know this store. His business is not vibrant enough to support the cost of appropriate security to keep the building secure. The Sherriff’s office has bee very accommodating over the years and can legally close the shop and store it’s inventory until the owner can make improvements to secure the building or close his books. NY in general has been very hard on the gun business and the revenue loss have pushed hundreds of mid to small shops out of business. Imagine you own a shop in NY and cannot stock anything semi auto with a pistol grip? That shuts down a huge part of the market alone. the SAFE act has been a globular mass of undefined terms that DA’s can chose how to interpret and decide who to prosecute. Cuomo is a anti American and admitted to it recently saying “America was never great”. Imagine what it’s like living in a state where a population of city dwellers elects people like that also govern a huge largely rural state. This is total BS on the part of this Sheriff. I have had two gun stores and the Gestapo requires certain things to be done for security. These left-wing yaps never stop. SOUNDS LIKE THE POLICE SHOULD DO THERE JOB AND CATCH THE THIEVES. Robbed seven times in eleven years. Eight if you include the last one by the sheriff’s office. Water the Tree Of Liberty. OLD YORK is such a screwed up state I would not be surprised if the state was steeling the guns from the store just to make gun dealers look bad! Security is all ready required for gun shops and you must be in federal compliance or you cant operate. So this is local police taking action over the heads of the proper regulatory agency. The shop looks like an easy mark outside but I would like to see the inside, It could and probably is one big safe. outside is more a mater of taste or lack of money. Anywhere can be broken into no matter the security And I agree something should be done but punishing the victim is not the way, going after the thieves is the proper way . it sounds like the sheriffs department is the one that needs to step up. So the Sheriff and Police fail to do their job so they are looking for a scapegoat for their own failures. Gun Stores should be secure. However, this is another slippery slope. Unscrupulous States like New York, California, and Illinois will use these requirements to “regulate” gun stores out of existence. And who said the Government would not confiscate Private Property. Well will the last American leaving New York turn the light off..
NYS is run by the gestapo and headed by a man that wants to be emperor. Shut Cuomo down! Hes a tyrant that will destroy our beautiful state. Burglar bars over windows and doors. Security cameras and alarms. I don’t know how large his building was but these are the steps I had to take after having my own retail shop burglarized twice. It’s not that expensive. Cops can’t be everywhere at once. You mean 8 times….NY committed the biggest crime yet against this law abiding businessman. I would like to hear what the store owner has to say about this. We all carry firearms because the police can’t be everywhere all the time. I lock my guns in a safe to keep them from falling into the wrong hands. This place (from the photographs) looks like a cardboard box. It is the shop owners job to secure his store. I don’t think the sheriff should be able to hold the owners guns though. Sounds more like a failure of the law enforcement than the gun store to me? This could lay a scary new blueprint for these Marxist leftists to shut down dealers. They definitely have a ample amount of useless idiots more than willing to commit crime to reach a political end. Punish the store, not the criminals???? The majority of the guns will go into the useless scum cop’s private collections. They are nothing but thieves. They may want to take into account what insurance he has on those stolen firearms! Are they really stolen?? Hummmm? Saw a sign in a Houston gun store several years ago that might help. Trespassing prohibited. Survivors will be prosecuted. With that many thefts, how can the shop owner afford insurance? He must have insurance, his landlord or any banker holding a loan would insist on it. On the other hand if the business owns its building and owns the inventory with no loans I suppose it can get away with no insurance, but it is not a smart move. Something is wrong here! Why aren’t they targetting the unlawful instead of the lawful? So the Sheriff dept can’t do their job so this is their answer ??? All valid points. But if it were my shop after the second robbery I would have been looking for ways to beef up security just because it makes sense to protect my investment. Not to mention my own safety and the safety of any employees. Something just seems off with the owner if he just sit back and get robbed over and over and does nothing to prevent it. See? No one is coming for your guns . . . There are requirements in securing the firearms in a reasonably secure area but there is also basic common sense which this gun shop owner obviously possessed ZERO! I let my FFL go because I did not feel 100 percent secure with my inventory and was not making enough money to spend the money to do it right. I cannot argue against who ever made the decision to stop this idiot! BATF requires.that FFL’s have to secure their firearms during closed hours….Doesn’t look to secure to me….Those firearms still beong to the shop owner so I don’t know the legalities of confiscation . I was thinking that policing of an FFL holder was the job of BATF. The local sheriff may have overstepped his bounds here. Makes sense to me, they can’t catch the burglers but they can catch the store owner and of course there are no other problems there.